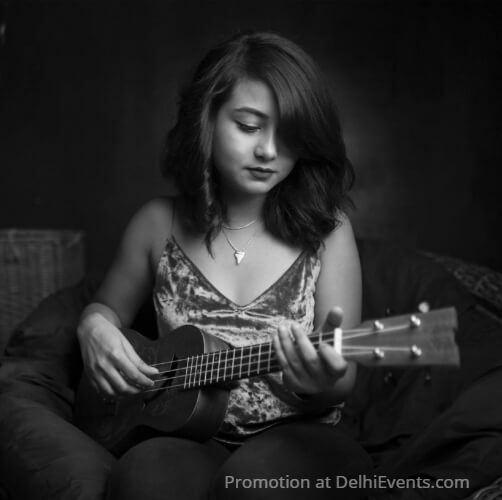 Sejal Morris is no stranger in the Delhi music circuit. Within a year, she has been identified as one of the most sought-after pop artists and has never failed in delivering performances that meet the audience’s expectations. She is a self-taught singer and guitarist based from and in New Delhi, India. She has inherited an immense love for music, and this love has grown into passion with each passing day. Her eclectic sound is inspired by R&B and Soul artists such as Sabrina Claudio, Lianne La Havas, Mikky Ekko, to pop giants such as Bruno Mars, Miley Cyrus, Maroon 5, to name a few. With a personal touch to them, she tries to make all songs her own. She originally began singing in her school choir but with time, she discovered her sound and has emerged as a solo artist since then. She aims to cover Pop and RnB tracks and performs with her Collective on a frequent basis. She has performed at the Little Black Book Delhi’s events ‘The Pop Up Event’ and the ‘Shop n Chug Carnival’. She was in the official line up of the Contemporary Arts Week Delhi 2016. She has also performed at various major festivals like the Asian Hawkers Market 2015 to 2017, The Ambience Carnival 2017, SoDelhi’s Horn OK Please Food Truck Festival for three consecutive editions, The Grub Fest 2017 and 2018, and GoBuzzinga’s Momo Festival 2017. All of which have her performances featured on their official social media handles. In January 2017, her weekly Wednesday night gig at TabulaBeach Café went on to be featured and promoted by Vh1 India Sound Nation.